Vodafone Idea Limited has come up with a new offer for postpaid users after an eternity. As part of this new offers, Vodafone Idea customers can avail up to Rs 2,400 discount on every postpaid plan for 12 months or one year. Vodafone has this offer for a while now, but Idea Cellular has rolled it now to increase its postpaid user base. The newly merged telco has partnered with Citi Bank and providing 50% discount for users who apply for a new Citi Bank credit card. That being said, a user can avail a maximum discount of Rs 200 every month and an overall discount amount of Rs 2,400 spread across 12 months. 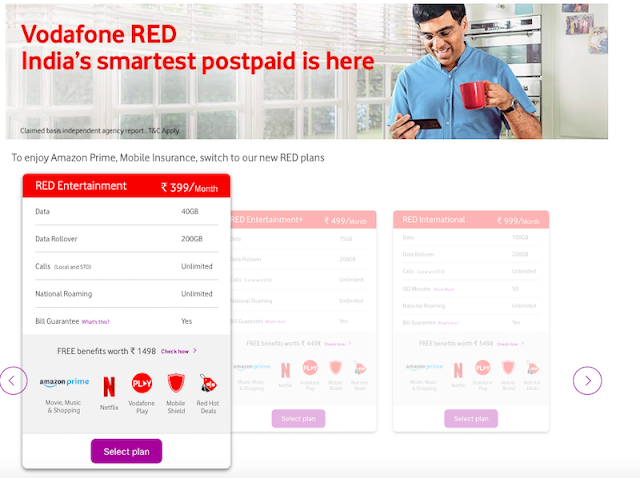 For the unaware, Vodafone’s RED range of postpaid plans start at Rs 299, while Idea’s Nirvana postpaid plans start at Rs 399. How to Get 50% Discount on Vodafone Idea Postpaid Plans? Vodafone Idea Limited has detailed the terms and conditions of the offer. To avail this offer, a customer has to apply for a new Citibank credit card and spend Rs 4,000 within 60 days of the card issuance. Vodafone and Idea customers using Vodafone Red or Idea Nirvana plans of Rs 399 & higher will be eligible for a discount of Rs 2,400 for a year on their postpaid rentals. Do make a note that the cashback would be offered at the rate of Rs 200 per month for 12 months. In addition, to make things simpler to the customers, Vodafone and Idea Cellular are allowing users to apply for a credit card via My Vodafone or My Idea application and via the company’s websites too. Vodafone India has the best postpaid plans in the industry right now. The telco’s postpaid plans start at Rs 299 and goes all the way up to Rs 2,999. With the entry-level postpaid plan of Rs 299, the telco is providing a total of 20GB data with carry forward feature, while the higher priced Rs 2,999 RED postpaid plan gives a user 300GB of data with 500GB of data carry forward option. On top of that, Vodafone is offering one-year Amazon Prime subscription for free with the Rs 399 and above postpaid plans, and Netflix subscription with its postpaid plans priced above Rs 999. 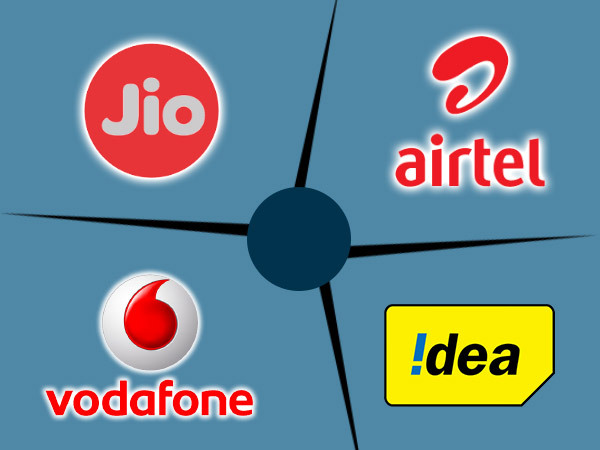 Idea Nirvana Postpaid Plans: What Do They Offer? Vodafone revised its RED range of postpaid plans back in April this year, while Idea Cellular revised them a couple of months ago. Idea’s Nirvana range of postpaid plans start at Rs 399, same as Vodafone and goes all the way up to Rs 2,999. The base plan of Rs 399 offers a user 40GB of data along with Data Carry Forward feature up to 200GB, and the Rs 2,999 plans ships with 300GB of data. Unlike Vodafone, Idea Cellular is not giving any additional benefits such as Amazon Prime and Netflix subscription, but users will get free access to Idea’s Digital services such as Idea Music, Idea Movies & Live TV and others. 1. Reliance Jio Rs 299 unlimited plan: 3GB data/day, 28 days validity, free calls : Reliance Jio has got the most affordable prepaid plan offering 3GB daily data for a period of 28 days. Priced at Rs 299, this plan offers a total of 84GB 4G data for 28 days with a daily limit of 3GB. Additionally, there is free and unlimited voice calling and free 100 SMS per day. 2. Vodafone Rs 349 unlimited plan: 3GB data/day, 28 days validity, free calls : To compete with Reliance, Vodafone had upgraded its unlimited prepaid plan to offer 3GB of 3G/4G mobile data per day for a period 28 days at Rs 349. Subscribers are also entitled to unlimited free local, STD and roaming calls along with 100 free SMS per day during the validity period. 3. Airtel Rs 349 unlimited plan: 3GB data/day, 28 days validity, free calls : Airtel too has a similar plan for Rs 349. Airtel prepaid users get 3GB daily 3G/4G data per day along with unlimited all local, STD and national roaming calls along with free 100 Local and STD SMS per day. 4. 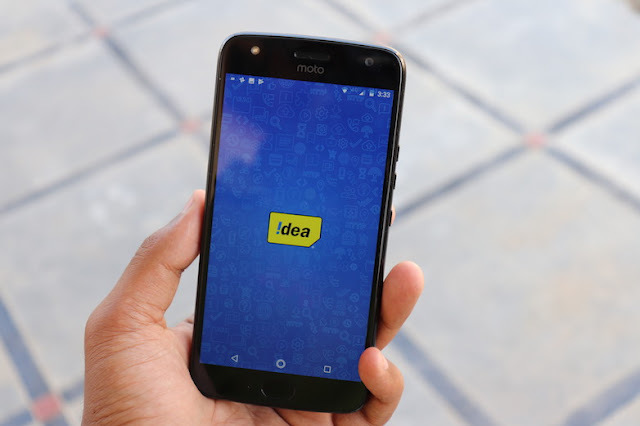 Idea Rs 349 unlimited plan: 3GB data/day, 28 days validity : To compete with Jio, Airtel and Vodafone, Idea has also recently updated its Rs 357 unlimited data to offer 3GB 4G data per day for Rs 349. However, there is a cap on daily calling with a limit of 250 minutes and weekly free call limit of 1000 minutes. Also, if a subscriber makes calls to more than 100 unique numbers in a week then Idea will charge 1 paisa per second for each call made after the 100th unique number. 5. Reliance Jio Rs 509 unlimited plan: 4GB data/day, 28 days validity, free calls : Reliance Jio has an unlimited prepaid plan for Rs 509 which offers 4GB of daily 4G data. Additionally, there is free and unlimited voice calling and free 100 SMS per day. 6. Vodafone Rs 549 unlimited plan: 3.5GB data/day, 28 days validity, free calls : Under the Vodafone Rs 549 unlimited prepaid plan, users will get 3.5 GB daily 3G/4G data per day along with unlimited all local, STD and national roaming calls along with free 100 local and STD SMS per day. 7. Vodafone Rs 799 unlimited plan: 4.5GB data/day, 28 days validity, free calls : This Vodafone Rs 799 unlimited prepaid plan offers 4.5 GB daily 3G/4G data per day along with unlimited all local, STD and national roaming calls along with free 100 local and STD SMS per day. 8. Reliance Jio Rs 799 unlimited plan: 5GB data/day, 28 days validity, free calls : Reliance Jio prepaid users will get 5GB daily 4G data per day along with unlimited all local, STD and national roaming calls along with free 100 local and STD SMS per day with this unlimited plan for Rs 799. Reliance Jio has announced a new postpaid plan starting at Rs 199. The biggest highlight of the plan are international calls starting at 50 paise/minute. Wonder how the Jio's new postpaid plan compares to that of plans from Airtel, Vodafone and Idea? 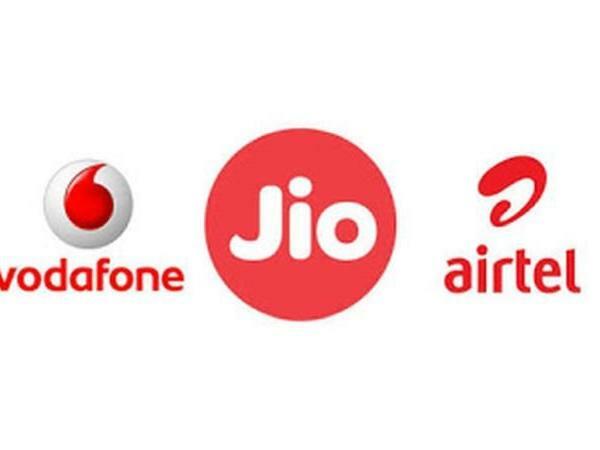 Here we have compared Jio's all-new Rs 199 plan with similar postpaid plans from the company's three rivals. Top Data Plans Under Rs 400 From Airtel, Jio, Vodafone, Idea & BSNL! Airtel Plans Under Rs 400 There are three best plans from Airtel currently available under Rs 400. Airtel Rs 199 Plan The Airtel Rs 199 prepaid plan offers a total of 39.2 GB of high-speed 3G/4G data for a period of 28 days. There is a daily cap limit of 1.4 GB data with unlimited voice calling (local, STD and national roaming) and free 100 SMS per day. There’s a new Rs. 219 plan from Airtel which offers similar benefits as Rs 199, but comes with a free unlimited Hello Tune service. Airtel Rs 249 Plan The Rs 249 prepaid plan from Airtel offers 56GB of high-speed 3G/4G for a period of 28 days. The plan comes with daily limit of 2GB data per day data with unlimited calls (local, STD and national roaming). Airtel is also offering free 100 SMS per day for 28 days. Airtel Rs 399 Plan The Rs 399 prepaid plan from Airtel offers a total of 117 GB of high-speed 3G/4G data for a period of 84 days with a daily cap limit of 1.4 GB data with unlimited voice calling (local, STD and national roaming) and free 100 SMS per day. Jio Plans Under Rs 400 There are six best plans from Jio currently available under Rs 400. Jio Rs 149 Plan The Rs 149 Jio plan a total of 42 GB high-speed 4G data for a period of 28 days. The plan comes with a daily usage limit of 1.5 GB per day. Post completion of fair usage, the data speed will throttle down to 64 Kbps for unlimited usage. The plan also offers free unlimited voice calls on local, STD and national roaming with free 100 SMS per day and free access to premium Jio apps. Jio Rs 198 Plan The Rs 198 Jio plan a total of 56 GB high-speed 4G data for a period of 28 days. The plan comes with a daily usage limit of 2 GB per day. Post completion of fair usage, the data speed will throttle down to 64 Kbps for unlimited usage. The plan also offers free unlimited voice calls on local, STD and national roaming with free access to Jio apps and 100 SMS per day. Jio Rs 299 Plan The Rs 299 Jio plan a total of 84 GB high-speed 4G data for a period of 28 days. The plan comes with a daily usage limit of 3 GB per day. Post completion of fair usage, the data speed will throttle down to 64 Kbps for unlimited usage. The plan also offers free unlimited voice calls on local, STD and national roaming with free access to Jio apps and 100 SMS per day. Jio Rs 349 Plan The Rs 349 Jio plan a total of 105 GB high-speed 4G data for a period of 70 days. The plan comes with a daily usage limit of 1.5 GB per day. Post completion of fair usage, the data speed will throttle down to 64 Kbps for unlimited usage. The plan also offers free unlimited voice calls on local, STD and national roaming with free 100 SMS per day and free access to premium Jio apps. Jio Rs 398 Plan The Rs 398 Jio plan a total of 140 GB high-speed 4G data for a period of 70 days. The plan comes with a daily usage limit of 2 GB per day. Post completion of fair usage, the data speed will throttle down to 64 Kbps for unlimited usage. The plan also offers free unlimited voice calls on local, STD and national roaming with free access to Jio apps and 100 SMS per day. Jio Rs 399 Plan The Rs 399 Jio plan a total of 126 GB high-speed 4G data for a period of 84 days. The plan comes with a daily usage limit of 1.5 GB per day. Post completion of fair usage, the data speed will throttle down to 64 Kbps for unlimited usage. The plan also offers free unlimited voice calls on local, STD and national roaming with free 100 SMS per day and free access to premium Jio apps. Vodafone Plans Under Rs 400 There are five best plans from Vodafone currently available under Rs 400. Vodafone Rs 176 Plan The Rs 176 Vodafone plan offers 1 GB high-speed 3G/4G data for a validity period of 28 days with unlimited voice calls on local, STD and national roaming. The plan also offers free 100 SMS per day for the validity period. Vodafone Rs 199 Plan The Rs 199 Vodafone plan offers 1.4 GB high-speed 3G/4G data per day with a validity period of 28 days. The plan comes with a total of 39.2 GB data with unlimited voice calls on local, STD and national roaming. The plan also offers free 100 SMS per day for the validity period. Vodafone Rs 255 Plan The Rs 255 Vodafone plan offers 2 GB high-speed 3G/4G data per day with a validity period of 28 days. The plan comes with a total of 56 GB data with unlimited voice calls on local, STD and national roaming. The plan also offers free 100 SMS per day. Vodafone Rs 347 Plan The Rs 347 Vodafone plan offers 2.5 GB high-speed 3G/4G data per day with a validity period of 28 days. The plan comes with a total of 70 GB data with unlimited voice calls on local, STD and national roaming. The plan also offers free 100 SMS per day for the validity period. Vodafone Rs 399 Plan The Rs 399 Vodafone plan offers 1 GB high-speed 3G/4G data per day with a validity period of 70 days. The plan comes with a total of 70 GB data with unlimited voice calls on local, STD and national roaming. The plan also offers free 100 SMS per day. Idea Plans Under Rs 400 There are four best plans from Idea currently available under Rs 400. Idea Rs 199 Plan The Rs 199 Idea plan offers 1.4 GB high-speed 3G/4G data per day with a validity period of 28 days. The plan comes with a total of 39.2 GB data with unlimited voice calls on local, STD and national roaming. The plan also offers free 100 SMS per day. Idea Rs 249 Plan The Rs. 249 Idea plan offers 2 GB high-speed 3G/4G data per day with a validity period of 28 days. The plan comes with a total of 56 GB data with unlimited voice calls on local, STD and national roaming. The plan also offers free 100 SMS per day. Idea Rs 349 Plan The Rs 349 Idea plan offers 3 GB high-speed 3G/4G data per day with a validity period of 28 days. The plan comes with a total of 84 GB data with unlimited voice calls on local, STD and national roaming. The plan also offers free 100 SMS per day. Idea Rs 398 Plan The Rs 398 Idea plan offers 1.4 GB high-speed 3G/4G data per day with a validity period of 70 days. The plan comes with a total of 98 GB data with unlimited voice calls on local, STD and national roaming. The plan also offers free 100 SMS per day. BSNL Plans Under Rs 400 There are two best plans from BSNL currently available under Rs 400. BSNL Rs 187 Plan The Rs 187 BSNL plan offers unlimited voice calls on both local and STD with free 100 SMS per day. The plan comes with a total of 28 GB 3G data for a period of 28 days with a daily limit of 1GB data per day. BSNL Rs 349 Plan The Rs 349 BSNL plan offers unlimited voice calls on both local and STD with free 100 SMS per day. The plan comes with a total of 54 GB 3G data for a period of 54 days with a daily limit of 1GB data per day. 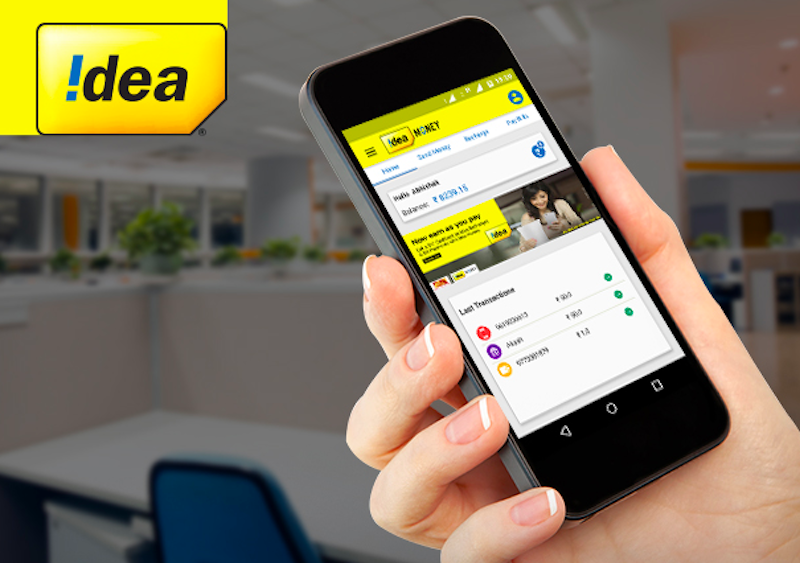 Idea Cellular revised its Rs 398 prepaid plan for its subscribers in Andhra Pradesh & Telangana circle. Under the new tariff plan, Idea will be offering benefits for 84 days, instead of the previous 70 days validity period. Apart from the increased validity, the Rs 398 plan gives the same benefits. Also, do make a note that this change is applicable to select Idea prepaid customers in the said circle. And we checked for the same plan in other circles too, but none of them has this plan. As per the revised plan, Idea prepaid customers will now get 1GB of 3G/4G data per day, unlimited voice calls and 100 SMS per day for 84 days, from the previous 70 days. However, voice calls are limited to 250 minutes per day and 1000 minutes per week. Customers recharging with this plan will also receive up to Rs 3,300 worth vouchers from Idea Cellular. The Idea Magic Cashback offer details are detailed in this article. For the unaware, Bharti Airtel, the leading telecom operator has already revised its Rs 399 prepaid tariff plan with the same 84 days validity period from the earlier 70 days validity period. And again, the credit for this change from Airtel and Idea Cellular goes to the Mukesh Ambani-led Reliance Jio itself. But both the incumbent operators are not yet matching Reliance Jio though because the Rs 399 prepaid plan of Jio is offering 1.5GB data per day, which makes the overall data benefit of 126GB as compared to 84GB data on Airtel and Idea network. Also, Jio’s voice calls are unlimited without any weekly or monthly FUP. To be noted, Idea Cellular already revised its Rs 199, Rs 448, and Rs 509 tariff plan with 1.4GB data per day offering, in-line with Jio’s new 1.5GB data per day tariff plans. At last, it looks like telcos have nothing to offer to the prepaid customers and they should now focus on postpaid subscribers, at least to retain them. Airtel is introducing new schemes every now and then to retain the postpaid subscriber base, while Idea and Vodafone are offering basic benefits to the postpaid subscribers. Jio’s Predatory Rs 49 Plan The launch of Jio’s new Rs 49 plan came as a big blow for Bharti Airtel, Vodafone India and Idea Cellular. 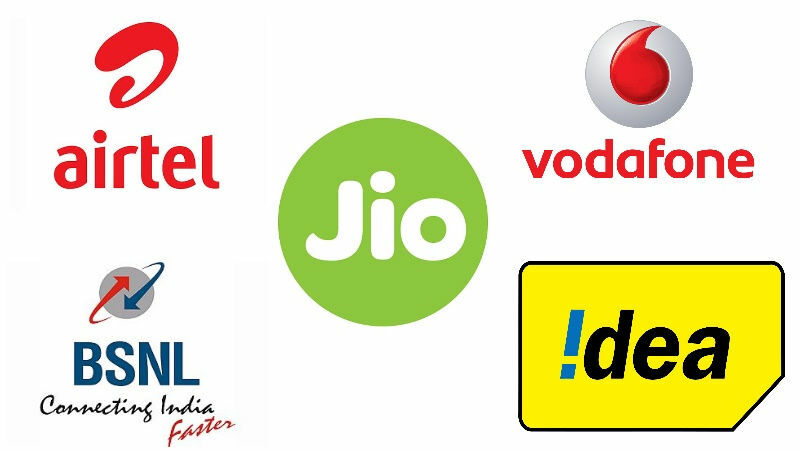 Now, these telecom operators will be releasing similar plans to compete with Jio’s low-cost plan. As per industry sources, these telecom operators are planning to unveil some attractively priced tariff plans with mobile data bundled with voice calling, exclusively for feature phone users. The feature phone market primarily consists of voice on 2G, which accounts for around 65-70% of India’s billion-plus mobile user base and 50% of telecom sector revenues. 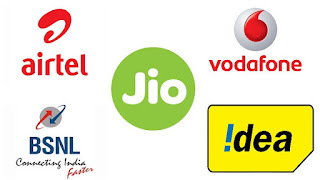 The feature phone segment plays a critical role for India’s older operators Airtel, Vodafone, Idea, BSNL and others, who want to prevent users migrating to the newer entrant, Jio. Other Telecom Operators Are Worried The Jio’s Rs. 49 per month plan offers the sector’s lowest price plan possible with free voice-calling for life and unlimited data, which includes 1GB of high-speed data, over a period of 28 days. The new plan could help the newest mobile carrier to eat into the feature phone market of incumbents who currently dominate the 2G market and rural markets unless the companies come up with similar aggressive plans. Jio’s Rs. 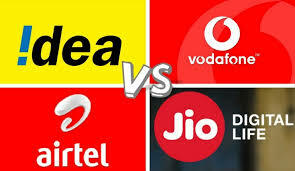 49 Plan Forcing Airtel, Vodafone & Idea For VoLTE-based 4G The telecom sector in the country is engaged in a fierce price competition. The cut in the interconnect rates have compounded the pressure on voice and data businesses amid continuing price wars. Kotak Securities has said that Jio’s new pricing moves target to add millions of 2G feature phone customers from the incumbent carriers, and this would would further damage their already weak financials. Reliance Jio has just launched its new plans where it has updated its Jio Dhan Dhana Dhan offer. This comes as a breather for incumbents like Airtel, Vodafone, Idea Cellular and BSNL. Here is a comparison of 4G data packs. Reliance Jio plans, including one that extends the Jio Dhan Dhana Dhan offer benefits, have been launched by the telecom operator as its Jio Summer Surprise offer comes to a close. The new Rs. 399 Jio plan provides users with 1GB data per day for 84 days, the same benefit that Jio Prime members were getting with the Rs. 303 pack under the Jio Summer Surprise plan, and at Rs. 309 with the Jio Dhan Dhana Dhan Offer. After the announcement of its commercial launch by Reliance Jio in March this year, Airtel came up with data-heavy plans to attract customers. In March, it firstly launched the Rs. 345 plan for prepaid users with 28GB of high-speed data for 28 days. While the daily FUP was set at 1GB per day, customers were able to use only 500MB of data during the day, while the remaining 500MB was allotted for the 12am to 6am period. Soon after Reliance Jio and Airtel started the tariff war, Vodafone joined in. It launched the Rs. 352 recharge pack that offered 1GB data per day for 56 days, or two recharge cycles of 28 days. Known as the Vodafone Super Offer pack, it additionally provided unlimited local and STD calls for the same validity period. Idea Cellular also entered the data tariff war, and in March launched the Rs. 297 recharge pack that provided 1GB data per day for 70 days on a 4G SIM and 4G smartphone. The offer came with 300 minutes of free calls per day and 1,200 minutes per week to other Idea customers, after which 30p per minute was charged. It then came up with a Rs. 447 prepaid pack that gave 1GB data per day and unbilled calls to any network for 70 days. The bundled calls with this Idea pack to other networks were capped at 3,000 minutes for the 70-day period. Users were charged 30p per minute on exhausting bundled calls to other networks. The cap for un-billed Idea-to-Idea calls were the same as those of the Rs. 297 pack. State-owned telco BSNL is not aloof from the ongoing battle amongst the industry players either. It launched the BSNL Rs. 333 Triple Ace plan in April that offered 3GB data per day for up to 90 days. However, since BSNL is yet to launch its 4G services, the data consumers would get will be 3G and 2G data, depending on the circle. Another plan worth Rs. 339 with validity of 28 days was launched in March, which came with 25 minutes of free calls to other networks per day. Beyond the free 25 minutes, customers were to be charged at 25p per minute for long phone calls. The offer was limited for 90 days. Vodafone had recently announced a new tariff plan called SuperNight, and it is offering unlimited 3G/4G data for usage and download for five hours. The new plan is available only to Vodafone pre-paid customers and is priced at Rs 29. The Vodafone SuperNight plan is applicable between 1 am and 6 am. The unlimited data offer on SuperNight can be best used to browse and download a range of content from Vodafone Play too. The SuperNight packs can be purchased via digital channels as well as all retail touch points. The customers can also dial *444*4# to activate the pack. Vodafone has reportedly been investing significantly in building Vodafone SuperNetTM, its internet network, offering HD Voice quality across its entire network and super mobile broadband experience across the country. The Rs. 309 and Rs. 509 prepaid Jio plans still remain, while two other plans have been added into the mix. The Rs. 309 plan offers all the same benefits of unlimited data (1GB per day), voice and SMS calling benefits, but with 56 days of validity instead of 28 days. The Rs. 509 plan also remains the same but with 56 days of validity (against 28 days earlier) and daily 4G data usage cap at 2GB per day. The Rs. 349 and Rs. 399 packs are part of the company's new Every Day More Value (EDMV) plans, under which it promises to deliver "20 percent more value than competitors' best plans." BSNL has also added some additional data offer for its post-paid users. Users who avail the Rs 99 plan will be provided with 250MB of data. Earlier there were no added benefits. BSNL postpaid subscribers who purchase the Rs 225 plan will be provided with 1GB data, while earlier it was 200MB. Under the Rs 325 plan, users will get 2GB of data, while before this it was compared to just 250MB data. Subscribers enrolled under Rs 525 plan and Rs 725 plan will now be provided with 3GB, (before this it was 500MB) and 5GB data (originally 1GB).